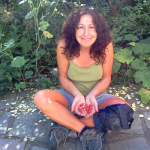 Of Butterflies and Bees→Gardening Blog→Supporting our community veg box scheme! Supporting our community veg box scheme! Last week we were delighted to be able to contribute a tasty amount of herbs from three of our community growing spaces to a fantastic new veg box scheme in NW5 – www.vegbox.org.uk. Our thanks go to the Year 3 kids from Eleanor Palmer school (a school whose grounds we have just taken over the maintenance of); the folk at our weekly food growing club at St Pancras Almshouses; and the Dig it Club at St Pauls School NW3. A well herby time was had by all, washed down by copious amounts of our freshly made elderflower cordial! Penned by our own Debbie and available from our Hearticulture page. Handsome local MP Toby Knight persuades her to turn a patch of land outside her house into a food-growing project – with uproarious consequences. 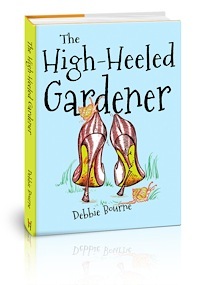 Join in with Deborah, The High-Heeled Gardener, as she records her adventures in a worms-and-all diary. Follow her roller-coaster year of steamy sustainability, community transition, food growing and flirtation. From seedy Sundays and GM (gorgeous male) alerts to B-cup brassicas and exploding cucumbers, this is a heady journey from haute- to horti-couture. Featuring a cast of cabinet makers and members, wassailers and wood nymphos, freegans and pot-laureates, Deborah is not only led up the garden path, but becomes an unwitting environmentalist along the way. A year of digging dangerously!